The last two units of my students’ 11th grade U.S. history textbook covers the years 1968 to the present. Many events of great interest are mentioned there. Of special interest to my students is the Watergate Scandal, the Fall of Saigon, the Return of the Vietnam War POWs, the Tinker v. Des Moines United States Supreme Court Case, and the Reagan, Clinton and Obama Presidencies. 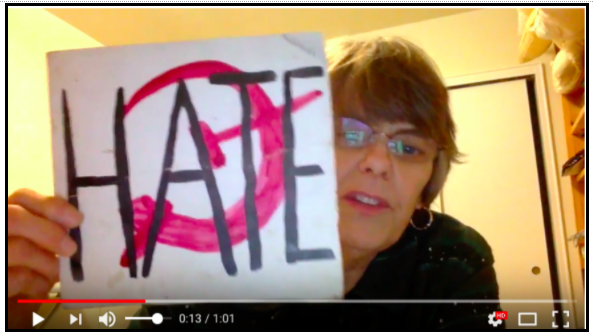 Over the years and for reasons to be mentioned at the end of this post, I’ve increasingly tried to provide my students with an opportunity to use video conferencing technology to interview individuals who have first-hand knowledge of some of these events. Donald Segretti is a former Captain in the Army’s Judge Advocate General’s Office. He is also known for having run a campaign of political sabotage (aka dirty tricks) against the Democrats for Nixon’s reelection effort. For the past 35 years, Segretti has practiced civil law in Southern California. What lesson(s) do you hope we, the students, will take away from the study of the Watergate Scandal? What lesson(s) have you taken away from this period of history? Do you think President Ford should have pardoned Richard Nixon? Do you think President Nixon was a good president? Do you have anything to say about our current president? 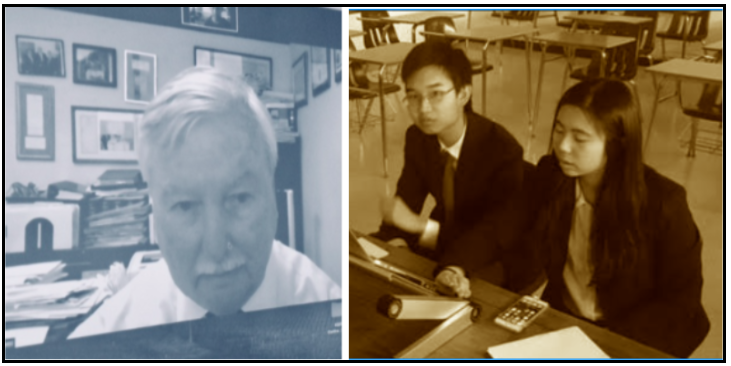 This particular video conference was conducted during lunch in my room with no other students in the room other than the two interviewing Segretti. However, Segretti so enjoyed speaking with the students that two weeks later he agreed to speak to the class as a whole and in person. To read what Segretti said during both the video conference and his in-class presentation, click here. Herbert L. Porter (aka Bart Porter) was a campaign aide to President Richard M. Nixon. In 1974, Porter pleaded guilty to the charge of making a false statement, not under oath, to an agent of the FBI during the early stages of the Watergate investigation. For this, he served 25 days in prison. The initial reach out to Porter occurred after one of my students (William C.) had told his mother that he had been learning about the Watergate Scandal in my US History class. In response, the mother contacted Porter, a dear family friend, asking him if he would be willing to video conference with William. Are there any other details about Watergate, or the Nixon years, that history has gotten wrong? From your understanding, what was the purpose of the Watergate break-in, and who knew about it? Knowing what you do now, would you have still served under Nixon? In the weeks to come, William will be writing a blog post of his own revealing how Porter answered each of these questions. Others too. 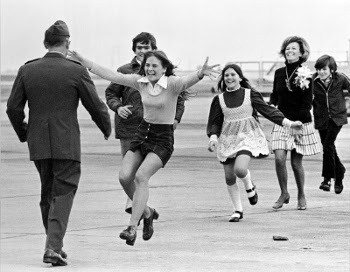 This video conference took place after the students in my U.S. History course saw in their textbook the Pulitzer Prize-winning photograph Burst of Joy (taken in 1973 at Travis Air Force Base in California and showing Lieutenant Colonel Robert Stirm, former Vietnam prisoner of war, returning home and being greeted by his family. ) You’ve no doubt seen the photograph. It’s iconic. Spickard is the one with outstretched arms and my students wanted to know the entire backstory and what happened to all those pictured in the years since. 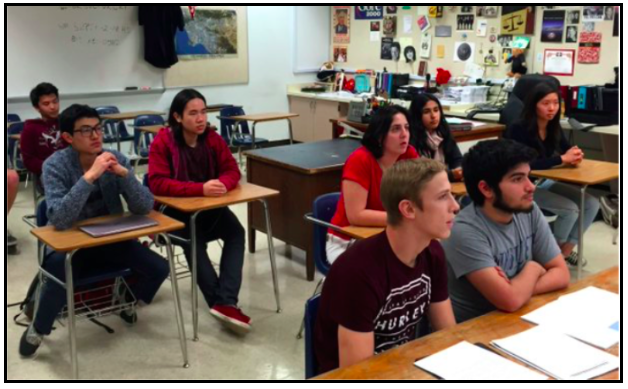 Here’s what the video conference looked like from inside the classroom. Mary Beth Tinker is the petitioner in the 1969 Supreme Court case of Tinker v. Des Moines, the precedent-setting case in which the court ruled that Warren Harding Junior High School could not punish Mary Beth and two others, including her brother, for wearing a black armband in school in support of a truce in the Vietnam War. After reading about the case in the textbook, two of my students decided to reach out to Tinker. One of the more interesting questions Tinker answered during the interview — did you ever receive any hate mail for having stood up for your first amendment rights? 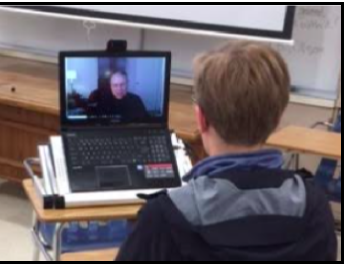 The host (one or more students), opens the video conference by asking a number of introductory questions of the guest(s) before giving the rest of students in the class a chance to ask questions of their own. 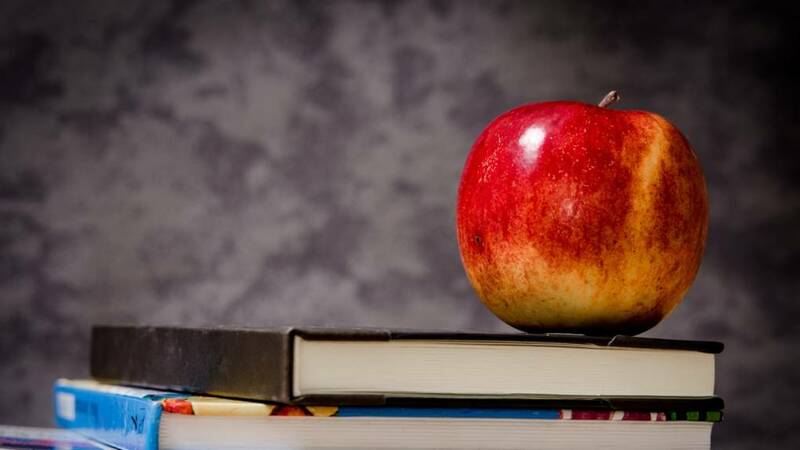 Conduct internet research to learn as much as possible about your guest, then draft a number of questions for students to ask based on what you have learned on the internet and what was covered in class. Share the questions you’ve drafted with your students, soliciting student volunteers to ask one or more of the questions. Give your students the opportunity to create questions of their own. I prefer to have students show me their questions to be cleared for approval (this is just a personal preference and subject to your discretion). And as for the question of how to find the email address or contact information of the person to be interviewed — just greenlight your students. They will get that job done and in no time. Such is the day and age in which we live. It also helps to ask members of your school’s community for support in this regard. In the alternative, check out the offerings on the Center for Interactive Learning and Collaboration website. Finally, and above all else, I highly suggest working with your school’s technology staff well ahead of the scheduled video conference to ensure that all the technology works as it should. My SMHS/SMUSD technology staff has provided immeasurable support in this regard. At the start of the school year, several years ago, an administrator said something to me that’s worth sharing. I took this recommendation to heart and, and with several years of video conferencing experience now behind me, I strongly encourage all teachers to do the same.